A romantic beach wedding is what dreams are made of. Picture yourself walking down a sandy aisle with the Caribbean breeze blowing softly on your face and the warmth of the afternoon sun on your skin. 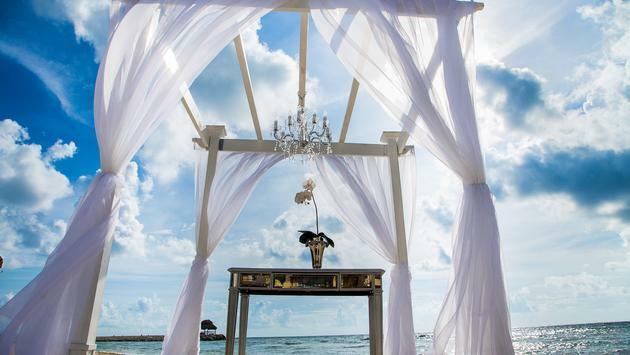 El Cid Resorts can help make this dream a reality at Hotel Marina El Cid Spa and Beach Resort located in Riviera Maya, Mexico—one of the most romantic spots for a destination wedding. The beach is always a go-to venue for a wedding in this location. After all, who doesn’t want to feel the sand on their toes while walking down the aisle, and there's no denying the crystal blue ocean makes a wonderful backdrop for photos. However, there are also many other options at Hotel Marina El Cid Spa and Beach Resort for wedding venues. The Ocean Pier Pavilion, for example, is a unique alternative to the beach and still offers stunning views of the ocean. The resort also offers the Event Salon as a wedding venue option where couples can host an event for up to 350 guests. 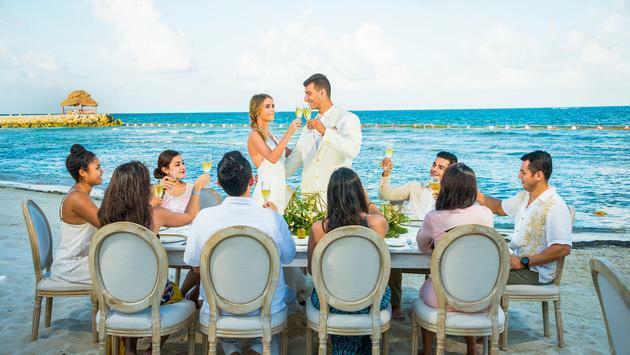 The vows can still be exchanged on the beach or in one of the other beachfront locations, and then the group can head inside for the reception. Couples choosing to tie the knot or do a vow renewal with El Cid can take advantage of the Vow Renewal and Unique Wedding Package. The price for this is $1199, and it includes 10 guests, a wedding coordinator, a minister, a sand wedding ceremony, bridal bouquet, reservations at a specialty restaurant and much more. Extra guests can be added at $30 per guest. Reach out to your travel agent to learn more about booking your wedding in paradise.